On this page i collect playlist of several german and austrian radio stations. 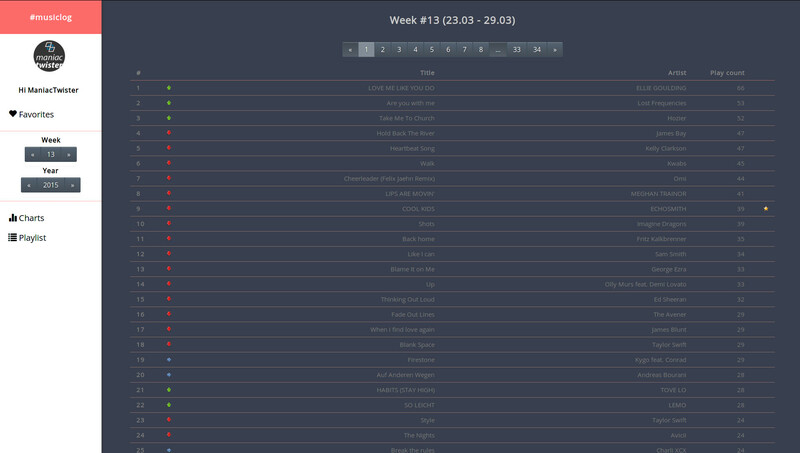 Weekly charts and dayli playlist are created with the harvested data. I'll describe the techniques behind this sites in a blog post soon. This is the website of my hackerspace by choice. In about ten days I converted the old table based layout to css and rewrote the XML based backend to an more easy to use database based system. 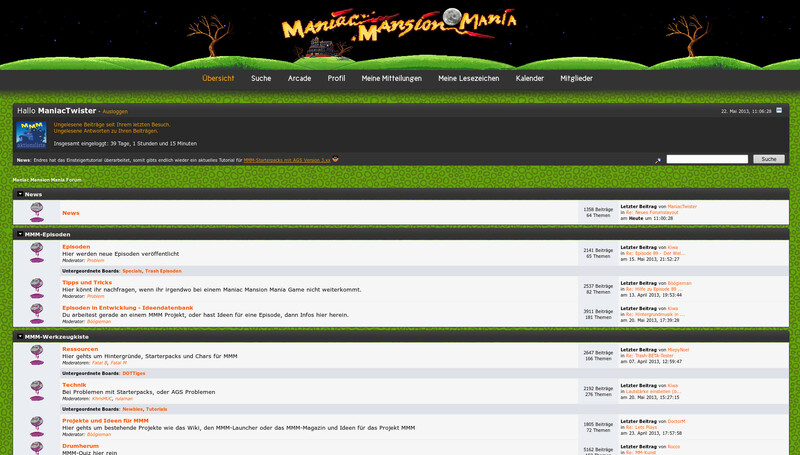 I have created this design based on the design of the Maniac Mansion Mania website in May 2013. 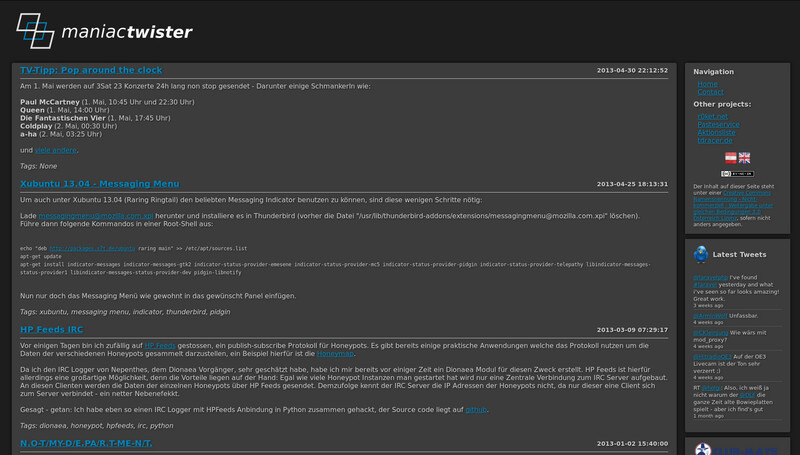 This site is for a ShootMania servercontroller based on the well known TrackMania servercontroller XAseco. 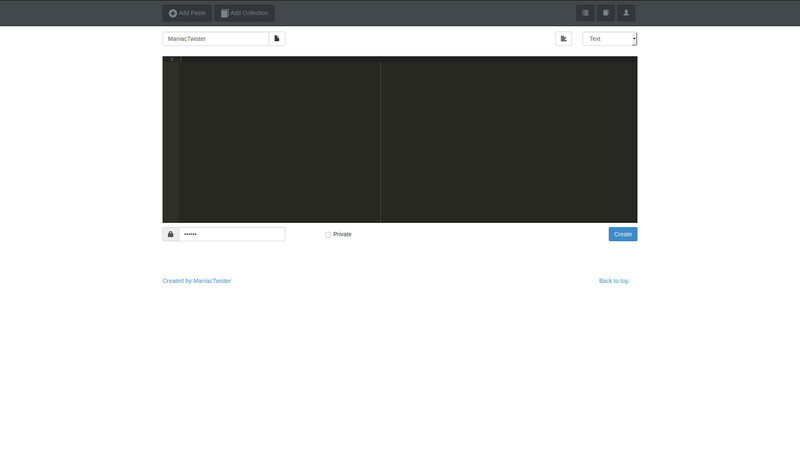 A simple pastebin site with collections and groups. Encrypted pastes are planned.